← My 48 Hour Recharge. Instagram Style. Our little urban garden has been a touch neglected recently. Not my tomatoes – of course – but the lettuce, peas, and some of the herbs were looking like they needed a huge dose of loving. So on Monday, Brad and I decided to spend a good chunk of our day off out in the sunshine of our garden. We planned on rearranging, replanting, pulling out things that were out of season or just taking up space, and getting some new and exciting things started. 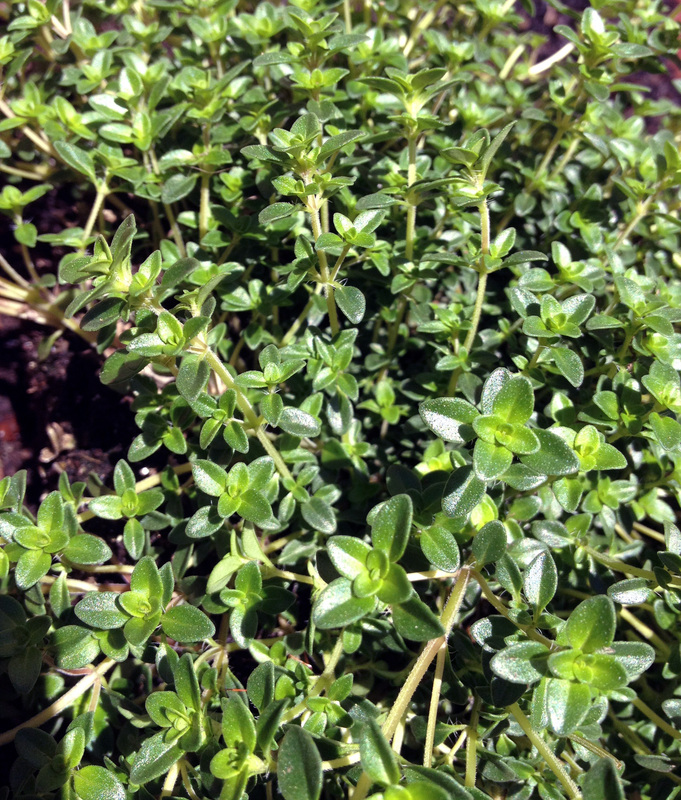 Inspired by Brad’s favoritism for thyme and how it has been disappearing from our garden almost as soon as it sprouted up – we decided to dedicate a few rows to the herb. 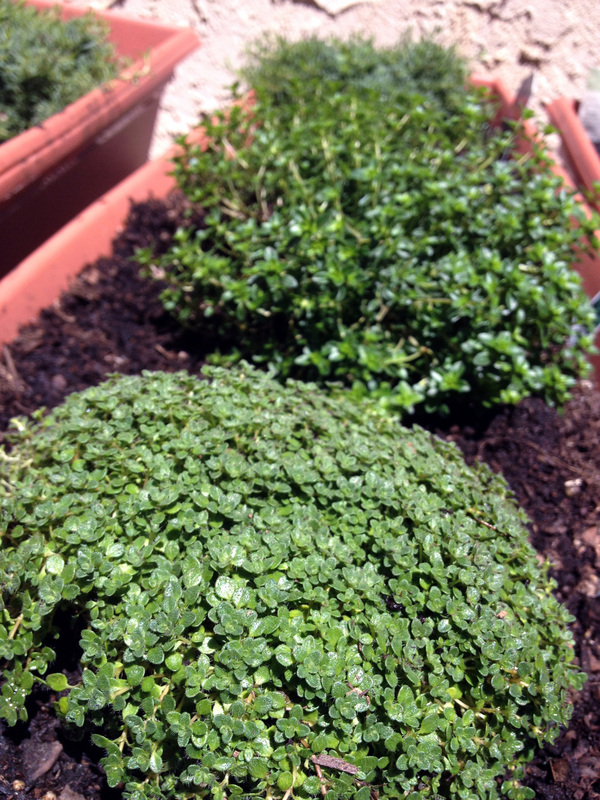 We planted Lemon Thyme, Elfin Thyme, and – my favorite – Creeping Thyme, along with a few seeds for… regular Thyme? 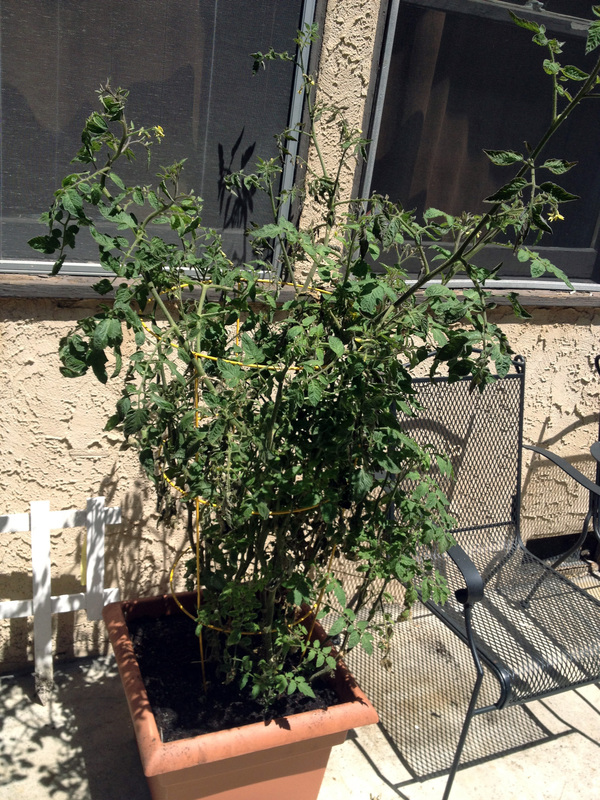 We also bought a few small heirloom tomato plants to add to the collection. I gave my old tomato plants lots of love. Even the previously bug-infested plant is starting to make a killer comeback. I jokingly (kind of) told Brad that I have been telling my tomato plants I love them every day so they feel loved and grow better. It must be working, because one of our plants has at least twelve tiny little tomatoes. I am so. freaking. excited. And now look at our revitalized summer garden! 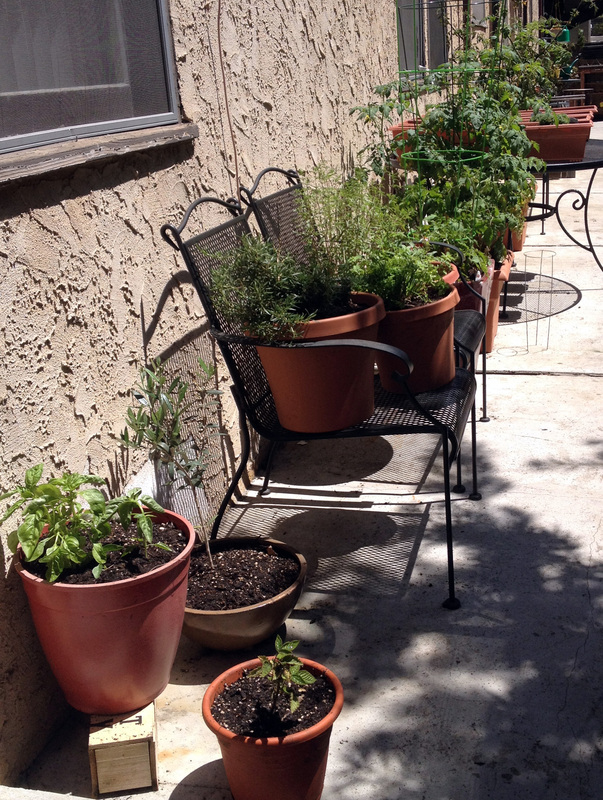 Basil, Parsley, Thyme, Rosemary, Tarragon, Marjoram, Oregano, Sage, Tomatoes, An Olive and Two Lemon Trees, a Blackberry Bush, Radishes and Edible Flowers! We aren’t messing around this summer! 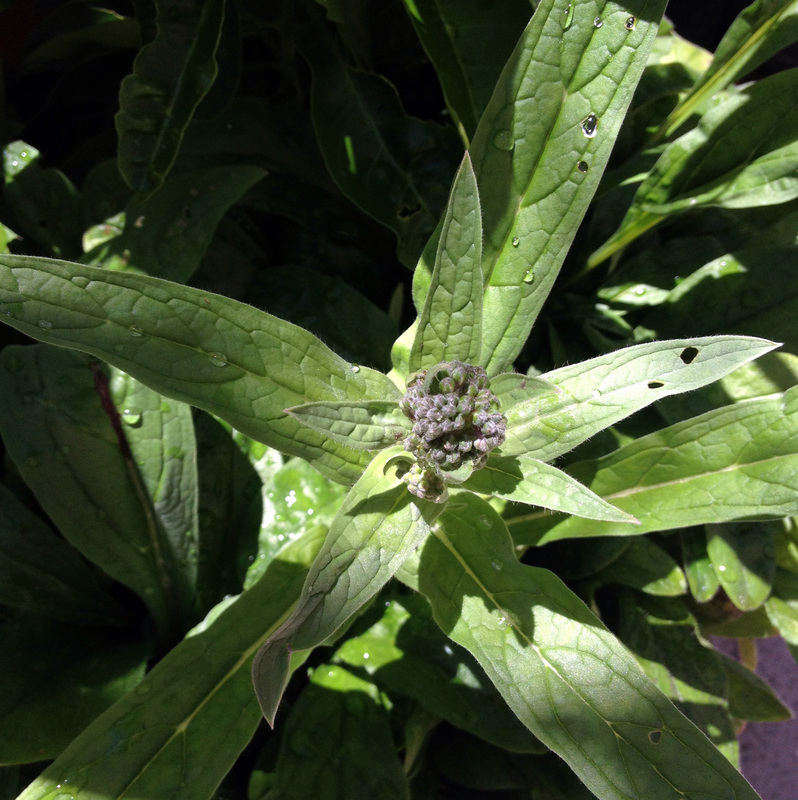 Even my Forget-Me-Nots are close to flowering. 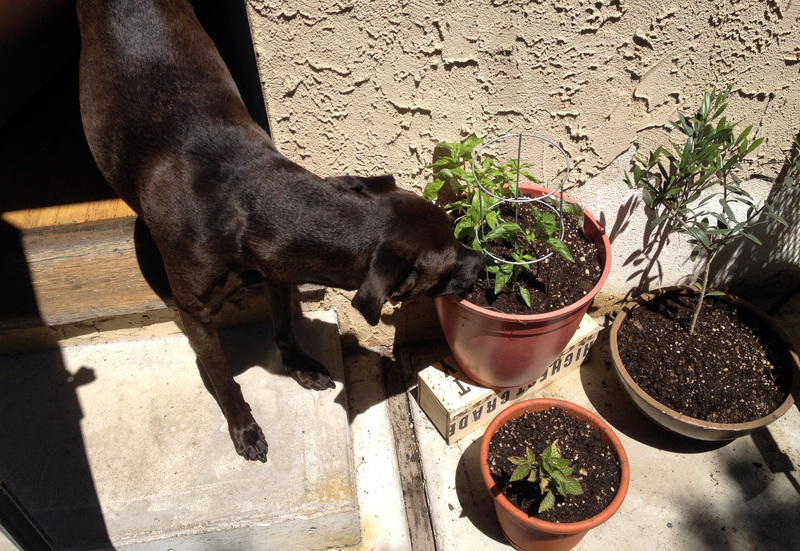 I am probably as excited about them as I am for those tomatoes. Forget-Me-Nots might not be something we can cook with or eat, but I just can’t wait to walk by them every morning and have that simple, beautiful reminder of my Karey and all the love and memories she left us all with. Gibson approves. She’d totally sunbathe in this garden.